WALKSTRONG ~ www.walkstrong.ca: " Higher ... "
As mentioned in my last post, my Gerson Therapy is producing encouraging results. To give my immune system a kick in the pants, the Gerson doctors recommended ~50 grams/week of vitamin C intravenously. Yes, that is a very generous amount, considering the recommended daily intake is ten times lower. So whats with the higher dose? Well, first some history ... the “Father of Vitamin C”, Dr. Linus Pauling realized during his research, that large doses of vitamin C have significant effects on our immune system and anti-tumour effects. So how does it work ... vitamin C works in two ways. First, in high enough doses it can destroy cancer cells. It is thought that vitamin C overwhelms the ability of tumour cells to suppress hydrogen peroxide production and this build up of H2O2 in cancer cells kills them. Secondly, cancer cells produce an enzyme called “hyaluonidase” that destroys healthy tissue around them thus facilitating tumour growth and metastasis. High doses of vitamin C inhibit this enzyme. Also it is worth to note that “the excitement around vitamin C and cancer was diminished by a later trial done by the Mayo clinic that could not repeat the findings by Cameron and Pauling, leading to a dismissal of its potential role in oncology. We now know that the results were not reproducible simply because the Mayo clinic used oral dosing of vitamin C, whereas IV administration is the only way to reach the required tissue saturation levels for vitamin C to act as just described above”. Unfortunately, it can personally be an expensive undertaking as most insurance companies consider this experimental. 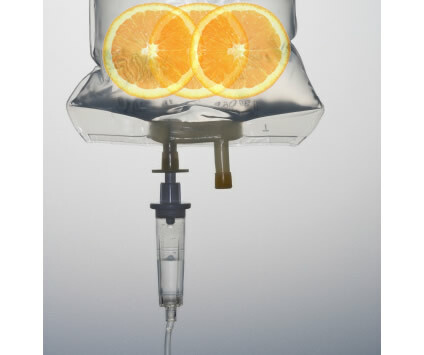 Yet a growing number of naturopath oncologists are integrating intravenous (IV) vitamin C into their cancer treatment protocols ... hopefully it is just a matter of time until integrative cancer care will be the norm.